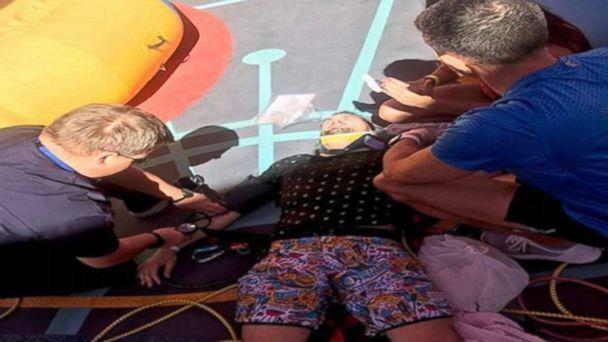 A passenger is suing Royal Caribbean for $75,000 over injuries sustained in a bungee trampoline accident on the company's Mariner of the Seas cruise ship. 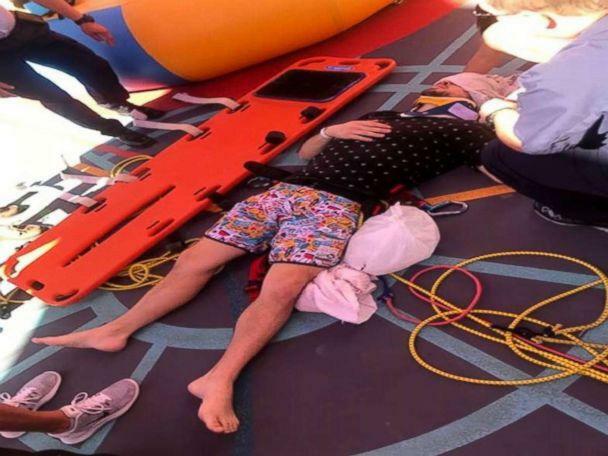 Casey Holladay, 26, said he fractured his pelvis in a 20-foot fall on the ship's "Sky Pad," a bungee trampoline activity, in February when the harness malfunctioned while he was suspended in the air, according to the lawsuit. Holladay, a native of Washington, was enjoying a weekend cruise to the Bahamas and looking forward to trying out the "Sky Pad" when the accident occurred, the suit said. The suit, filed last week in U.S. District Court in Miami, said the accident happened on the 13th deck of the cruise ship, which has a hard surface with no "padding or safety nets in case a participant did fall and missed the trampoline." He said the fall left him with a disability and permanent injuries. "As a result of the substantial injuries and surgery, [Holladay] has become disabled, has plates and screws in his pelvic area, and has suffered severe orthopedic injuries," the suit said, "which will require lifetime medical care and treatment, including the possibility of multiple future hip replacements." The suit accuses Royal Caribbean of negligence for allegedly failing to operate the attraction safely. Holladay "had to be placed in the ship’s medical facility and kept there for many hours until the ship could return to Miami, Florida," according to the suit. He was eventually taken to the Jackson Trauma Center, where he was admitted for the next 10 days, the suit claims. The passenger is suing the Miami-based cruise line for over $75,000 in compensatory damages. He's also seeking an unspecified amount for punitive damages. Royal Caribbean spokesperson Owen Torres told ABC News that the company does "not comment on pending litigation." "We operate all our ships safely, professionally and responsibly," Torres said in a statement.